A key learning was that my voice is valuable. That was a bit of a lightbulb moment for me. Carolyn McMahon’s first job at Honda Australia was as personal assistant to the Managing Director. Ambitious and sharp, it was her dream to one day be a Director. Last year, after 22 years with the Japanese founded company, the dream came true. She now helps set strategic direction and is taking a more active role in governance of the organisation. Martine Harte: In terms of Honda’s history how rare was your appointment? From a gender point of view yes, I’m the first female Director in Australia and we think out of over two hundred thousand Honda global associates perhaps it’s the second female Director in the world. Amazing. How important is it to have a female voice on your board? Carolyn McMahon: Well I think it’s absolutely necessary, there’s no question about it. More than half of our customer base are females, customers buying the Honda product. We haven’t yet achieved 50/50 gender split with our staffing, but regardless it’s still important to have a female voice when you’re setting business strategy. You have to think what the customer wants and it just makes sense. What do you identify as your best career moves to rise through the ranks of the automotive industry? Originally my background was the HR space. I worked out that if I wanted to become a Director I would have to have a much broader experience base so surprisingly pretty early on I was given the opportunity to go into sales. I had to take a backward step from a hierarchy point of view and move into a Regional Manager position which looked after all the dealerships in the region. 100% male dealer principals with 100% male sales managers, 100% male staffing. I guess was the learning that you had to try things to enable you to be in a pool of people to be selected for other roles. Stepping out of our comfort zones. And this stepping out of comfort zone is a constant theme on Engaging Women. So you embraced learning another language from an early age, why did you decide to learn Japanese? I had an opportunity to do a Rotary exchange student when I was in Year 11 at school, I was desperate to be an exchange student I didn’t really care where I went. I think my first choice was Sweden. What language would you recommend young girls study? The stock standard answer is Mandarin or Indonesian but I think it’s really important that you have an affinity with a language or a culture, without that affinity or connection it’s really hard to have passion learning a language to the extent you’ll be able to use it in a business sense. So I’d encourage them to try a couple of different languages. What further study would you recommend to women with their eye on a Board position? Because of my tenure at Honda I have been able to learn on the job. I was very, very lucky that I had almost on the job training by the previous Director and a career plan and was being groomed for that over a number of years. An organisation that I’m a member of is Women on Boards and they run a range of varying levels of education that women can do. Whilst I haven’t done that, by just being a member I see the good work that they do. Can you tell us about the Honda Foundation? We call our staff associates, many associates at Honda are very proud of this. It’s been going since 1992 and it’s a joint contribution from each car we sell, the dealer donates 5 dollars and Honda Australia donates 10 dollars. That money is then distributed to worthy causes that are able to help implement change within communities. Do you look through the gender lens when it comes to which groups you’ll support? Not strategically but its funny because a lot of groups or charities we support naturally have women at the forefront of those organisations and groups. Women are often the ones who are volunteering and working to help the disadvantaged. Who were your key influences when you were growing up? My mum was a single mum with four kids under the age of fifteen, she went back to school and became a school teacher so she could support us. Whilst it was very challenging during that time I think subconsciously and by osmosis you just learn and experience a bit of hardship which toughens you up and makes you determined. I never wanted to be in that position when I had a family. How to you cope with unconscious bias? So I’ve got an example, last month I was in Perth testing a new Honda product and I was talking to some of the Perth dealership staff there. We have mystery shoppers who go into dealerships and test whether dealers are doing a good job selling, now this is ten minutes after I have been introduced as the new Director of Honda Australia in front of everybody. He thought I was a mystery shopper! I actually used that example the following day at a meeting with all our management group to demonstrate unconscious bias and assuming I’m a female in the auto industry that I must be a mystery shopper! I guess that’s the way I want to try and bring to light things that happen to me personally, share my learnings I guess with our other staff. Was he not there when you were being introduced? Many feminists argue we must have gender quotas in Australia dictating that women make up 50 per cent of all parliamentarians, cabinets, other ministries and directors of all public companies and government boards. Do you think this is warranted? For me this is a perplexing question. Sometimes I think, no you can’t force it on organisations, you don’t want to create the token woman but how long have we been talking about this for now? I can’t think of any other way to make progress. At the moment I’m more towards doing something like that to have a circuit breaker, to force change. What have been your key learnings when it comes to owning your value as a woman in a male-dominated workspace? My mentor once gave me really simple advice when I was promoted to a General Manager role. He said, “We are paying you to be a General Manager, for your ideas, your contribution, and therefore you need to speak up in meetings and let us know what you think. That was a key learning that my voice is valuable and rather than me sitting back and being invited to contribute that was my job. That was a bit of a lightbulb moment for me. How did you push past your reluctance? My strategy was I had to say three things in this meeting. Whether it was agreeing with somebody, disagreeing with somebody or offering up an alternative opinion. So I had like a personal KPI in a meeting that I was going to speak up three times. Just to open my mouth and contribute. That’s fantastic advice! What do you make of the work/life strife conversation? It’s just so different for everyone. I”m lucky I can outsource, what I’m learning to do at the moment is really prioritise and say no to things rather than this fear of missing out if you don’t go to every function. Also, putting devices down, there would be enough work to work 24 hours a day if you let it, we are so connected and for me the phone doesn’t come up into the bedroom. I get eight hours sleep and that’s so important to me to be able to function. Find out more about Honda Foundation here. 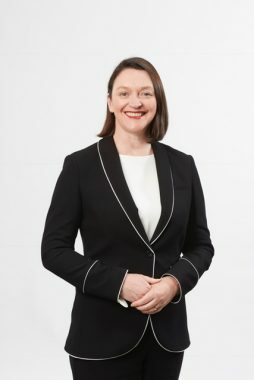 Tagged in Australian women company directors, Australian women in leadership, Carolyn McMahon, History making Australian women, Honda Australia first woman Director.